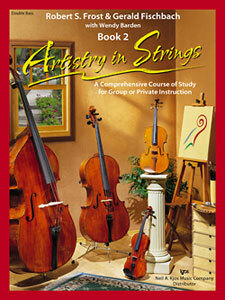 Artistry In Strings, Book 2 - Double Bass (Book Only) composed by Robert Frost, Gerald Fischbach and Wendy Barden. Orchestra. For string bass. Method book. Artistry in Strings. Book B,2. Method book. Published by Neil A. Kjos Music Company (KJ.101SB).The comprehensive approach of Artistry in Strings provides all the basic tools necessary for establishing solid technique and expressive music making! Perfect for classroom, group, or private instruction. Each book includes music theory, composition, listening exercise, improvisation, ensemble performances, and interdisciplinary studies for a well-rounded approach. 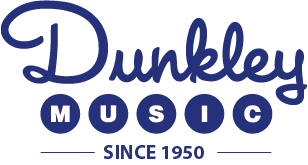 Music styles include classical, jazz, country, rock and folk music from a variety of cultures around the world. Book 2 continues the time-proven Artistry curriculum with a focus on successful performance, including solos, duets, rounds, and orchestrated 3-part arrangements. Enjoyable activities are also sprinkled throughout the book, helping to reinforce basic theory, and to engage creativity through composition.About Artistry in StringsArtistry in Strings is a groundbreaking string method that will be at home in your classroom or private studio. Its comprehensive approach contains all the basic tools necessary to establish solid technique and expressive music making. Artistry in Strings is a music educator's dream, combining a performance-centered approach with optional theory, composing, listening, assessment, and interdisciplinary and multi-cultural studies.Authors Robert S. Frost, Gerald Fischbach, and Wendy Barden have combined their vast experience as educators to provide a string method that is well paced for all types of beginning string classes. Regardless of class frequency and duration, or class size and student age, Artistry in Strings will assist you to achieve superior results.